Welcome the Sky Pods, designed to connect the Skyscrapers in Dubai in the most innovative, efficient and cost-friendly way. With the pace the future of transport is changing in Dubai, you might encounter one of these as you are travelling in your used car, Dubai from below. The sky pods are designed to form a transport network for high-rise travelling. They occupy minimal land area, are highly energy efficient, use innovative railways and are operated with an automated system. 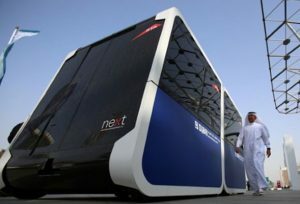 The innovative transport model were displayed at the annual World Government Summit 2019. No trial date has been announced yet, though. The models come in two creative solutions. The first model is a unibike, a small-sized, compact vehicle that is fitted with steel wheels and moves on suspended rails. It has all the advantages of a high-powered electric car combined with the luxury benefits of sports vehicles. In addition to being electrically powered, the car has also been fitted with a generator that can help move the vehicle manually, providing an alternative to bikes and cars. The unibike can carry up to two people and offers personal space for individual transport. It can reach speeds of up to 150 km/h and can carry up to 20,000 passengers per hour. The unicar can carry passengers to a distance of around 200 kms. One unit can fit one to six people. The car can reach speeds of 150 km/h and ferry 50,000 passengers per hour. The car is slightly longer and looks stylish with a boxy frame. 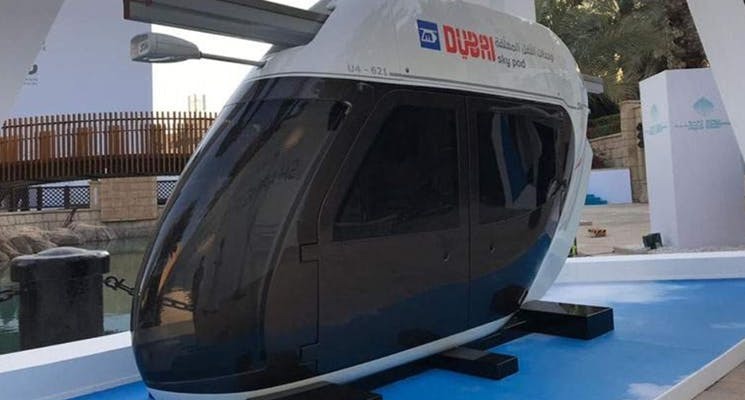 The RTA also stated that its future plans will include an autonomous air taxi as well. However, their vision is to harness the country’s resources for solutions that prove to be sustainable for the future generations. Looking for a used car, Dubai? Hop on to CarSwitch.com for a hassle-free and transparent buying and selling experience. Happy shopping! Gearheads in the UAE, Do You Want a Brand New Honda? Al-Futtaim Honda, which is the exclusive distributor of all Honda cars and other products in UAE. You may soon have the option of getting a smart number plate when you buy a used car. Hyundai’s 2019 Electric Kona Unveiled in Dubai! It’s hard not to be wowed with Hyundai’s latest line-up. For years, Hyundai was seen as.